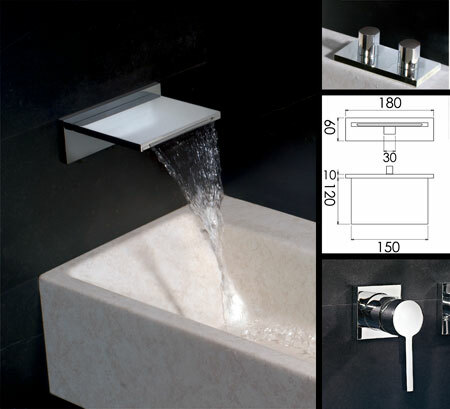 The Waterblade basin mixer tap with its waterfall spout is available (as shown) with double deck mounted controls, but can also be supplied with double wall mounted controls plus wall mounted and deck mounted single lever mixer controls. This waterfall basin tap is part of a full range of bathroom fittings that will add design and interest to all bathrooms. * Available with wall or deck taps.